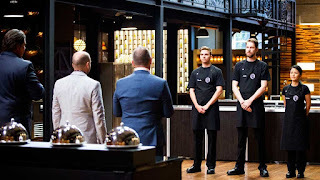 On Sunday afternoon I finished watching MasterChef Australia season 8. It was something I stumbled upon a couple of months ago as I was flicking through late night TV, and I was instantly hooked and set the box to record ( much to the annoyance of my mother because i refuse to delete the episodes). I may have mentioned it a couple of times to my friends and on Twitter, Snapchat and Instagram. OK so I talk about it a lot the more I became addicted. Because that was what it was, an addiction! We all talk about the shows that we've been watching and that we're hooked on and this became my show....and there was a lot to love about it! You might at this point be thinking, isn't this a book blog, and you would be right. yes it is. But the show has shown me that it was so much more than just a cooking show, and for a long time as I keep mentioning, I've wanted to open this blog up talk about all the things that affect my bookish life, and that now apparently involved cooking. I went out and bought a blender, mixer and slate cheeseboard as a result of watching the show and I barely even cook! The first thing that got me was the extent of the series. 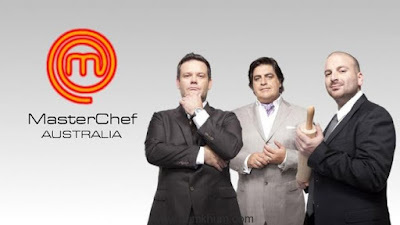 In the UK we're done after like 12 episodes, maybe a couple more if we're lucky, but MasterChef Australia had 63 episodes! Multiple weekly episodes! It was every addicts dream! 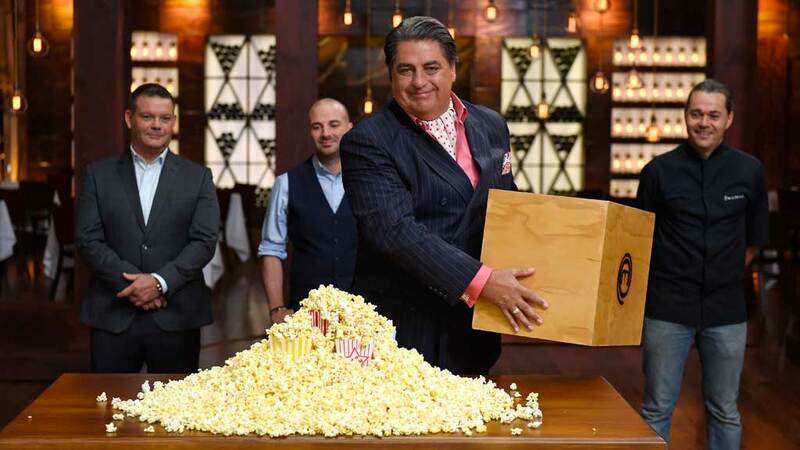 From Mystery boxes to; pressure tests, immunity challenges, group challenges, guest judges and eliminations there was such a variety! Such drama! 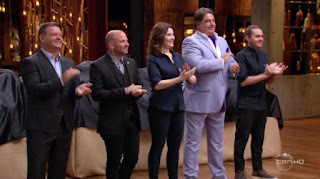 From Nigella Week (LOVE NIGELLA) to Anna Polyviou's pressure test, plus my favourite episode where the contestants and judges swapped roles, they packed so much into the episodes. There was such a variety of ideas and techniques, such interesting ingredients and it just goes to show the potential of creativity, just look at Anna's mess. WHO COMES UP with something like that. This beautiful intricate piece of desert ART. I wanted to be throwing it down as much as anyone else! 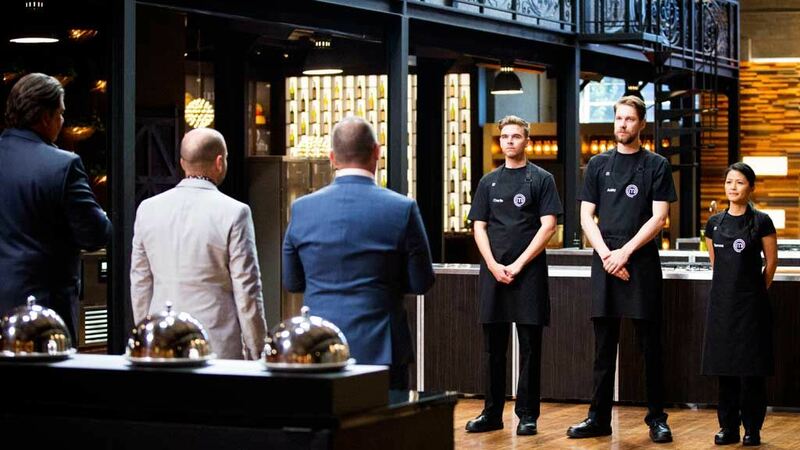 And Heston was always going to come up with something off the wall, but what he actually did was just sow the seed and allow the contestants creativity to blossom themselves. This is where my point comes into play. Each of the contestants on the show weren't professional chefs. They've come from their own jobs and walks of life, with a passion and a dream, like so many of us have, and they're fighting for it. You got to know them over the episodes, you became connected to them, they were almost your friends, crushes (cough Harry)...but that's a completely different conversation! As with any show it was emotional to watch them grow and develop, to watch them be eliminated one by one (there was a lot of shouting at the TV grabbing the pillow and eating ice cream). I always wonder how I would do on a reality TV show for the pressures that it would put on you. I like to dream about being on MasterChef and then I remember that I can't cook, but it made me want to try (hence the impulse culinary purchases). That was the crux. At the heart of this show is the want and the passion to do something and to fight to achieve your dream. Matt said it perfectly in the finale, the potential to win in there in your hands the only thing that's going to stop you is your mind. You will sic yourself out and that will stop you. You're not always going to be perfect you will make mistakes (I'm still sad for Matt in that Egg challenge, its stuck with me), but that's OK, because you have to be able to do this to move on. To grow. To develop, and to reach your potential. Its a journey, and it won;t be easy but on the way you will learn, and develop and make so many new and lasting connections not only with people but with the passions that you have. This show encouraged me to used #FoodPorn at every given opportunity. I love watching cookery shows, I love eating good food, and now I want to do all of these things even more. I want to start making food more (so it'd be great is Matt and Harry can bring out cook books please) and more than anything I want to take some of the fire that was lit under their arses and light my own fire to keep pushing myself for the things I want to achieve. I've started this year, but I know there's a lot of work to do! Let MasterChef by your guide! Who's for a trip to Australia!?!?! Also season 9 has just started recording so I can relieve this adventure all over again! But I think I've just accidentally seen who has won in looking for pictures for this post and that's a little crushing! I'm sure I'll still enjoy it anyway!